The Senate Education Committee is scheduled to vote Wednesday, Feb. 13, on four bills aimed at preventing student bullying and suicide. OSBA supports the legislation. Suicide was the second leading cause of death among Oregonians age 10 - 24 in 2017, claiming 107 youths, according to the Oregon Health Authority. A survey of Oregon students revealed 17 percent of eighth-graders had seriously considered suicide and half of Oregon’s lesbian, gay, bisexual and transgender eighth-graders had considered suicide. Senate Bill 52, known as Adi’s Act, would require school districts to adopt suicide prevention policies. A gut-wrenching afternoon of testimony last week included Lon and Christine Staub, parents of Adi Staub, a transgender Portland student who killed herself in 2017. The testimony Feb. 6 before the Senate Education Committee started with three members of the Joint Student Success Committee: Co-Chairs Sen. Arnie Roblan and Rep. Barbara Smith Warner and Sen. Lew Frederick, who is also co-chair of the Joint Ways and Means Education Subcommittee. “I would consider this a crisis, and we need to find some way to address this crisis,” Frederick said. During a statewide schools tour, members of the Joint Interim Committee on Student Success were shocked to learn about the growing problem of childhood trauma impacting classroom learning. They have made addressing the mental health needs of students one of their top priorities. The bill has broad support from a variety of education, rights and health organizations, including OSBA. The Senate Education Committee will also be voting on bills requiring communication policies for suspected student suicides (SB 485), supporting programs to prevent bullying (SB 180) and encouraging law enforcement to collaborate with schools to address cyberbullying (SB 489). Testimony last week linked bullying, harassment and cyberbullying not only to suicide but also to other forms of trauma and disrupted learning. The Oregon Education Association recently reported that students and teachers don’t feel safe because of students acting out. 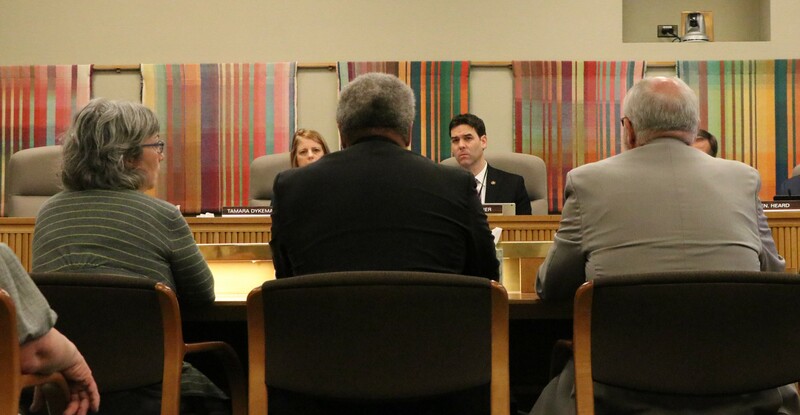 Safety was top of the mind for the House and Senate Education committees last week, with both holding a public hearing on identical bills to create the Statewide School Safety and Prevention System (SB 584 and HB 2327). Called the Oregon Safe to Learn Act, the proposed legislation from the Oregon Task Force on School Safety seeks $3.87 million for 2019-20 to integrate bullying, harassment and suicide prevention with safety assessment teams and the SafeOregon tip line. The bill would set up school safety assessment teams that bridge educators, law enforcement and mental health experts to assess threats and intervene. The system would offer schools technical assistance and training to identify at-risk students and intervention strategies to help students before they harm themselves or others. The House Education Committee also heard testimony on HB 2191, which would allow students to take excused absences for mental health days, such as when a student feels an anxiety attack coming on. The bill aims to equate mental health care with physical health care and take some of the stigma out of it.